Amy works as a Full-time Accountant, and is always friendly. She is a self professed Travel and Outdoor Adventure Adrenaline Enthusiast. If she’s not at the gym, she’s usually on a plane, a mountain, or by a lake! Favorite Quote: It's better to look back on life and say: "I can't believe I did that." than to look back and say: "I wish I did that." Sprint, RPM, BodyCombat and BodyAttack Instructor. Member of OCR team. 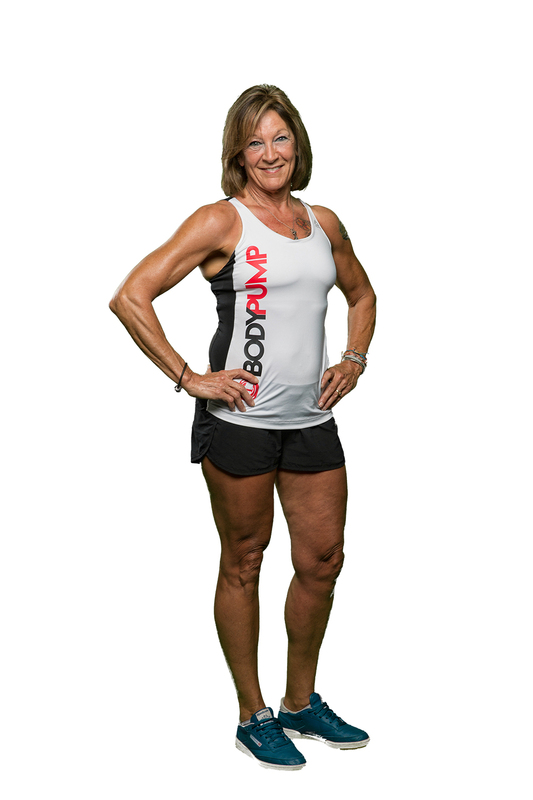 Barb became certified in Bodypump in 2009, and Bodyflow in 2010. She loves teaching the early morning classes and getting everyone motivated for the day! In real life, she's a certified health coach, coaching individuals and groups in person and online to be healthy and happy. She's also a professional Superhero! Known as The Superhero Speaker, she speaks to audiences all over the country to motivate them to unleash their own inner Superhero. When she's not speaking, she maintains a successful massage therapy practice 3 days a week. She enjoys spending down time with her 5 rescue animals. Brian is a proud father of 2 boys and coaches their youth football team. He’s always been involved in coaching sports. He thrives off of high energy, and can always be counted on to pass along that energy. His proudest moment in his athletic career so far is that he’s the only person in Maine to complete the Spartan Ultra Beast in Killington, Vermont - it made the paper! She fell in love with all things fitness in Fall 2009. Stay at home mom of 2. Looks forward to helping others challenge themselves and maintain that change. Everything in moderation, including pizza. In 2008, Emily set aside a career in the non-profit sector to become a stay-at-home mom to her son and began her consistent relationship with fitness after her daughter was born in 2009. She took her first Les Mills RPM class and became hooked. In 2013 she made the jump from participant to instructor and earned her first Les Mills group fitness certification in RPM and through the years has grown that number to 6, holding certifications in BodyAttack, CXWORX, BodyFlow, SPRINT and BodyPump. Emily became an ACE certified personal trainer in February of 2018 and enjoys watching participants and clients find strength in their lives through exercise. 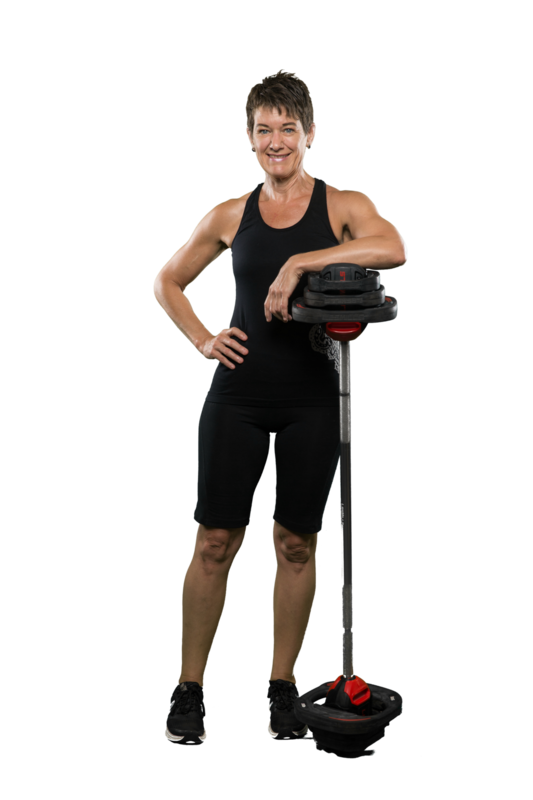 Through her own fitness journey, Emily has developed a love for unconventional training methods, particularly use of the steel mace and movement training, and looks forward to continuing to build her knowledge base and toolkit to share these exciting and effective methods with clients. Outside the gym, Emily enjoys family time, camp on Phillips Lake, loves peanut butter (crunchy, of course), electronic dance music (although to pump up before a challenge it has to be Cypress Hill’s Rock Superstar), cycling and paddleboarding. John as been participating in Les Mills classes since 2009 - the year of Body Combat 41 and Body Pump 71. Les Mills classes changed his life in so many great ways he wanted to become an instructor. He chose this path to step outside of his comfort zones and help others find their passion. Certifications: 2012 in Body Combat release 50; 2013 in Body Pump release 86; Body Combat Advanced Instructor Module 1 Completed in August 2016; Body Pump Advanced Instructor Module 1 Completed in January 2018; certified in 2017 in GRIT Series Strength, Cardio and Plyo release 21. When he is not teaching classes he enjoys spending time in the outdoors. This past year he spent a week in the Allagash canoeing and went on a 4 day backpacking trip on the Grafton Notch loop trail. His two favorite places on earth are Mount Katahdin and Horseshoe Bay Bermuda. He loves everything Pumpkin - including fall weather and the Patriots. Juli is a kindergarten teacher at All Saints Catholic School and a personal trainer. I also teach RPM, Bodycombat, and Bodypump. Sprint, RPM, and BodyCombat Instructor. Member of OCR Team. Kate’s fight song; I’m not ready to make nice - Dixie Chicks. Ricky is a Certified Personal trainer under The National Academy of Sports Medicine, Certified MMA/functional fitness coach. Professional Mixed Martial Arts Athlete. Began working in the fitness field in 2012. 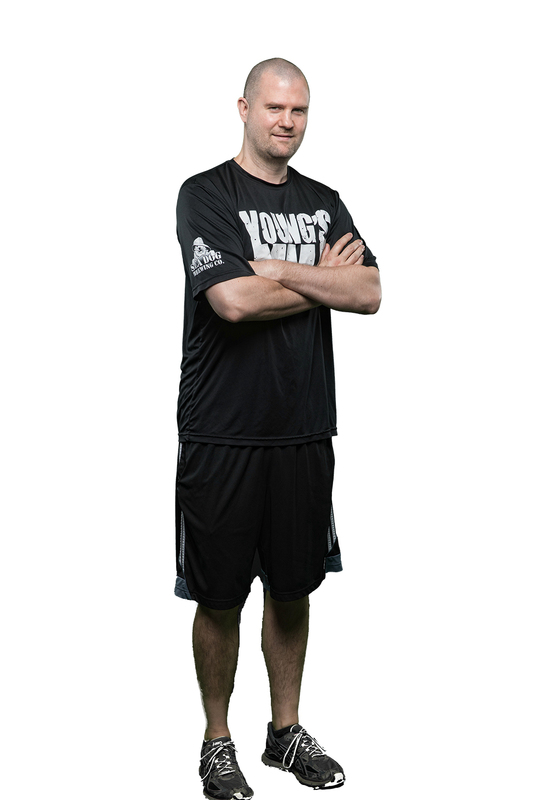 Managed and head trainer at an unconventional gym ‘207 Athletes’ from 2012-2017, training a wide range of individuals from high school level to Division-1 college athletes. Whether your goals are building lean muscle, burning fat, gaining size or sports specific strength training. I’m your guy. 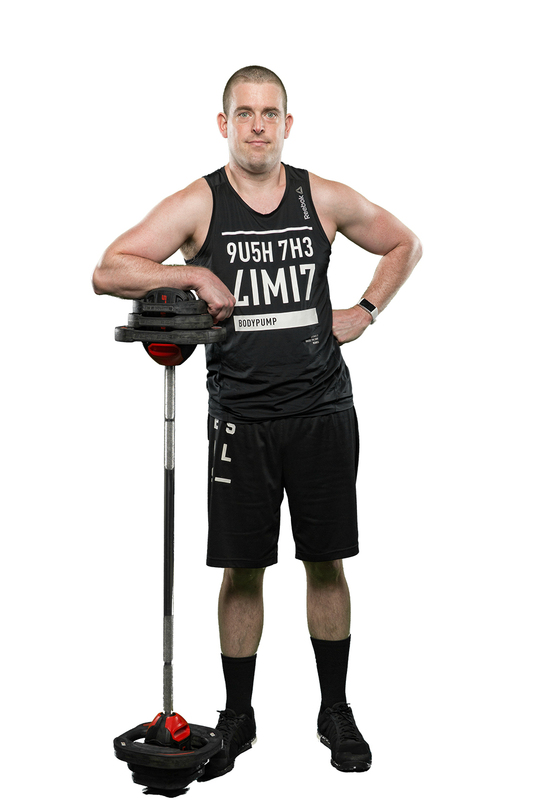 Ryan is a longtime distance runner who became certified in BODYPUMP in 2010 and CXWORX in 2017, and earned Elite Certification for Pump in 2017. Aspires to be a LM Assessor and/or presenter. Longtime journalist as well. Ric haunted "Spacious Studio USA" off and on for more than 10 years before Carrie Beyeler dragged him to BODYPUMP training in August of 2014. Today Ric joins the team as a Les Mills Certified instructor instructing PUMP and PUMPCXPRESS. The most inspiring statements that drives Ric to this day came from Emily McIntosh during one of her RPM classes in which she said "wipe the sweat out of your eyes and wipe the doubt out of your mind." Sadie claims that she lacks common sense that most adults have, so she makes a fool of herself for the sole purpose of pleasing the twisted minds of U.S.A instructors. Eventually, she worked herself free of their sadistic grasps and went to training for BodyAttack so that she could join their ranks and lose her status as "Gym Jester." However, when she returned she realized she LIVES FOR THE ENTERTAINMENT... the mind control that she was under had worked its magic. She was and is stuck in this mental prison. To this day you can find her inside the walls of that wretched place, doing demeaning tricks for measly pay. HELP. HER. Favorite Quote: "Exercise? I thought you said, 'Extra fries'?" Dressed in leotard, tights, and leg warmers and accompanied by my Boombox, Tammy taught an aerobics class twice a week for the Hermon Rec Department at the High School gym from 1984 - 1986. In June 1996, she happily retired as a group fitness instructor, however her firm commitment to teach step aerobics for 6 months at USA turned into 22 years! This “Old school” “classic” girl wants you to have fun while working out at your best ability in class. Sarah is a big proponent of “you can't make a change until you're ready. You can only do it for yourself, no one else” In 2012 she decided she was ready but only utilized traditional gyms without instructors, or classes - just equipment and space. In 2013 after suffering a major loss, she almost lost my passion for the gym but then in 2014 a friend talked her into walking through the doors of Young's MMA. Since putting on her first pair of gloves and doing her first fitness class, she has never looked back. She found not only a gym, a new passion and therapy but she had found a family. 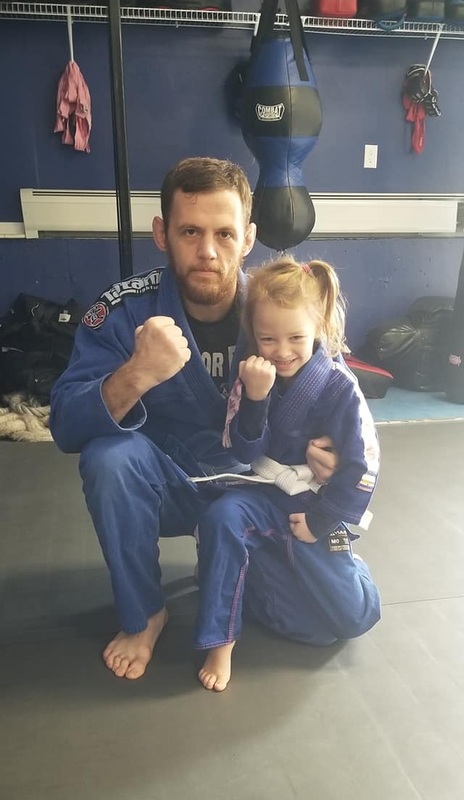 She started teaching MMA fitness in 2016. She loves seeing all the new and familiar faces that come to class to challenge themselves on a daily basis. The best part, she thinks, is seeing the relationships amongst the members, the friendships, the encouragement and the support. Sarah hopes to see you on the mats, where she will use her infectious energy to get you moving! He’s an athlete, and has been for years - he was a competitive swimming in college. He’s competed in and finished 7 full length Ironman Triathalons including Hawaii Ironman in 1986 and Louisville Ironman 2016 In 2017, he completed 7 Ironman 70.3 races in the United States and Puerto Rico, winning in his age group in 5 races. Steve is a competitive runner as well, he’s completed the Boston Marathon 3 times! 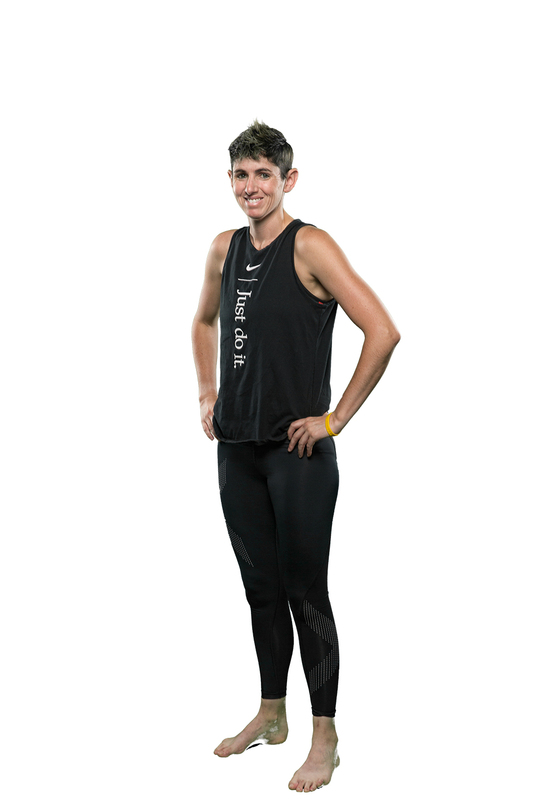 Fitness, athletics and wellness has been a life long pursuit for Sarah. Athletics, lifting, hiking, cycling, paddling and yoga have been lifetime activities. Moving her body and seeing its abilities and testing its limits has been something she has always had a passion for. Pursuing her BS in Kinesiology with Concentration in Athletic Training in 1998 was the first step. After working within the sports medical and orthopedic field, she decided to layer on the element of education and achieved her Master of Science in Education 2001.